When it comes to purchasing a home there are a lot of factors to take into consideration. 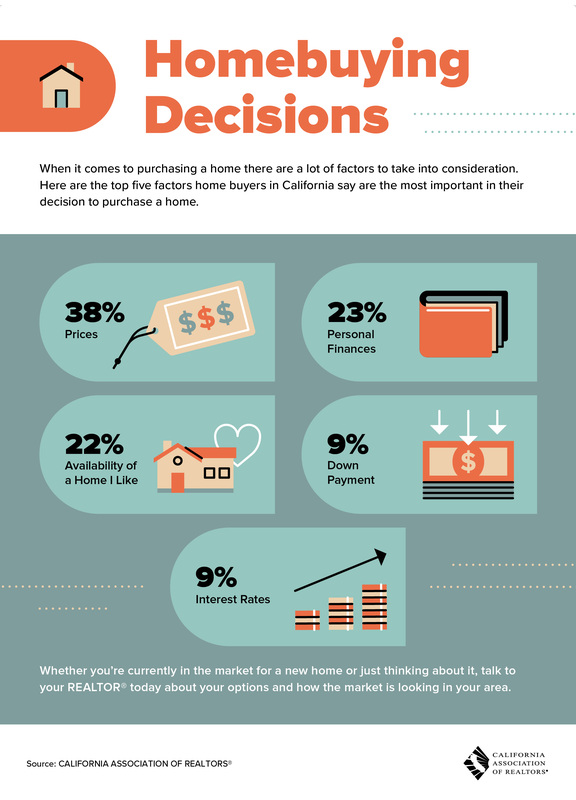 Here are the top 5 factors home buyers in California say are the most important in their decision to purchase a home. Whether you're currently in the market for a new home or just thinking about it, talk to me today about your options and how the marketing is looking in your area.